Happy Halloween to all of our GREat Haymeadow residents! Join us after work on Halloween night at our leasing office for "SPOOKTACULAR" treats for you and your pet!! It&apos;s our way of saying thank you for making Haymeadow a GREat community!And if you have photos of you or your kids (pet kids too!) 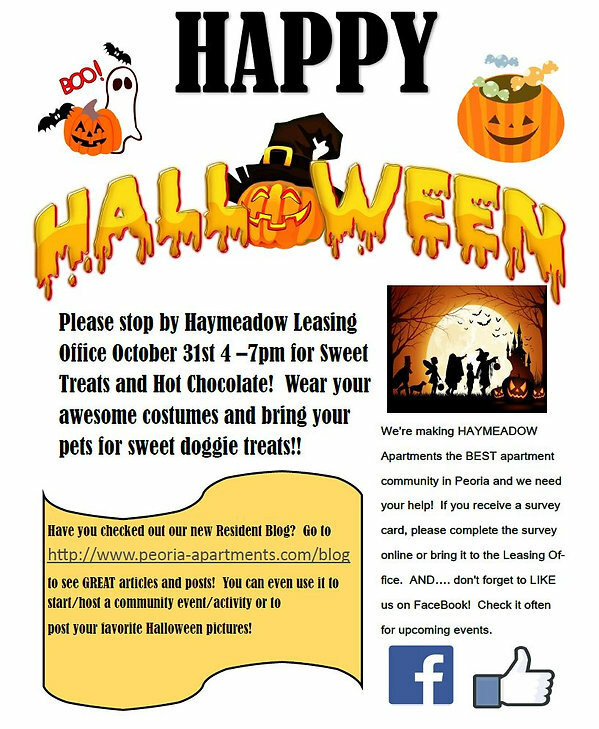 please feel free to post to our Facebook page or just tag Haymeadow Apartments!#TrickorTreat!